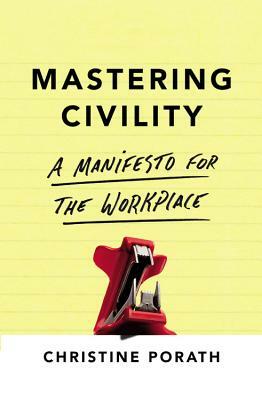 "Backed up with real science and compelling stories, MASTERING CIVILITY powerfully illuminates why the smallest behaviors have the biggest effects on relationships, teams, and entire companies. Even better, Dr. Porath provides practical, proven steps to diagnosing yourself and your environment and a roadmap to building a better workplace, and a better you. "—Laszlo Bock, Senior Vice President of People Operations at Google, and New York Times bestselling author of Work Rules!